Apple is no longer describing Siri as a beta product for iOS 7. The company has updated its online description of the personal assistant to reflect the change. 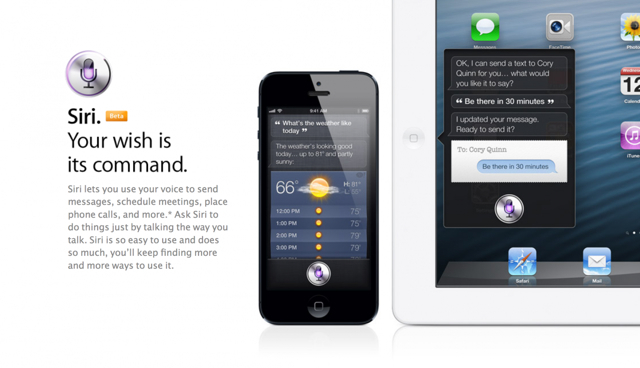 Siri is available in Beta only on iPhone 4S, iPhone 5, iPad with Retina display, iPad mini, and iPod touch (5th generation) and requires Internet access. Siri may not be available in all languages or in all areas, and features may vary by area. Cellular data charges may apply. Siri is available on iPhone 4s or later, iPad with Retina display, iPad mini, and iPod touch (5th generation) and requires Internet access. Siri may not be available in all languages or in all areas, and features may vary by area. Cellular data charges may apply. 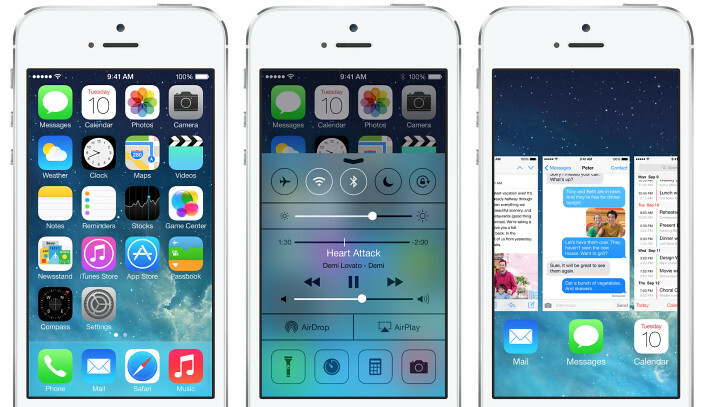 In iOS 7, Siri gets a new look, a new sound, and new capabilities. It features a redesigned interface that fades into view — on top of whatever’s on your screen. A clearer, more natural-sounding female or male voice makes Siri even easier to understand. It’s faster at answering questions and it checks more sources, such as Bing, Wikipedia, and Twitter. 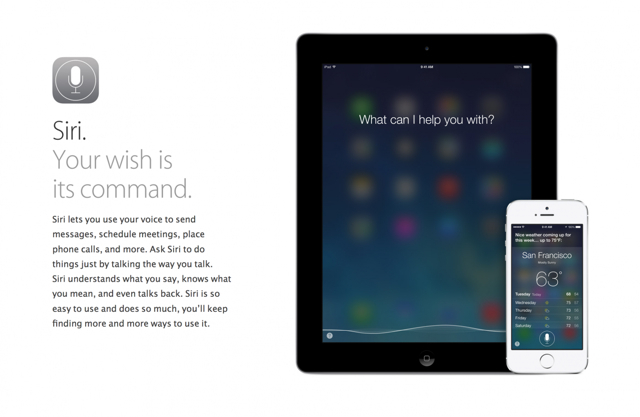 And Siri takes on extra tasks, like returning calls, playing voicemail, controlling iTunes Radio, and more.